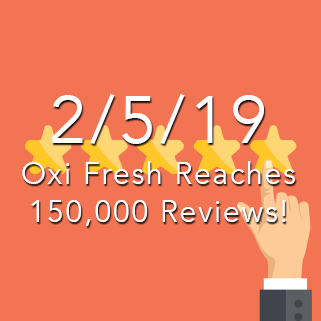 LAKEWOOD, Colo. – Oxi Fresh Carpet Cleaning recently reached over 150,000 reviews, averaging 4.6 out of 5 stars, on their website. This is a major achievement for the carpet cleaning franchise, and a true demonstration of the quality services they provide to customers across the United States and Canada. 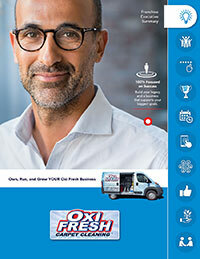 What has helped separate Oxi Fresh from its competitors and earned them such accolades is their dual commitment to both customer service and a revolutionary cleaning system. While the former require no explanation, the latter does. Unlike an old-fashioned cleaning system, Oxi Fresh doesn’t rely on carpet saturation to get its results. The carpet cleaning franchise instead relies on a combination of a pile-lifting cleaning machine, an oxygenated booster, and a green encapsulator. Together, they very effectively remove dirt, grime, and oils from carpets. This system has the additional benefit of drying in just about one hour instead of 12-24 hours. You can read the original article about the carpet cleaning franchise’s reviews here. To book you own cleaning, go to www.oxifresh.com and use their Online Scheduler or call their Scheduling Center. Interested in opening a carpet cleaning franchise? Click here.